After many weeks of work, we closed the next stage of preparations for the debut on the Warsaw Stock Exchange. 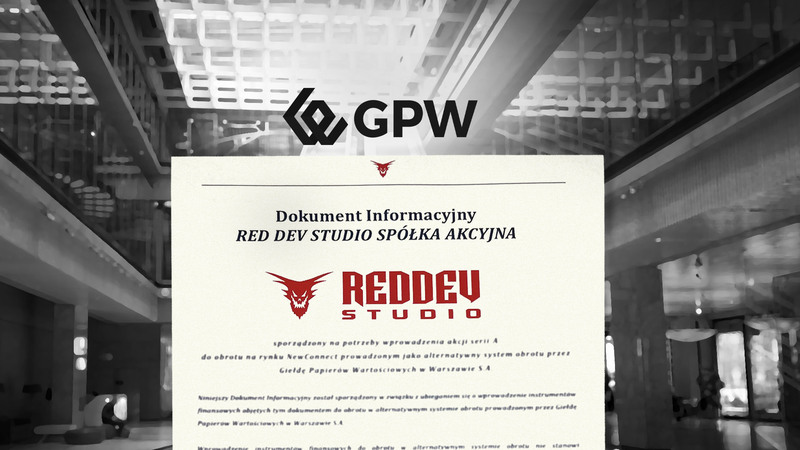 On March 29, 2019, we filed an application for the introduction of Red Dev Studio shares for stock exchange trading. We are counting on a debut on New Connect before the end of the second quarter of 2019.